A ceremony celebrating the 25th anniversary of UNESCO recognition of the Complex of Hue Monuments as a site of world cultural heritage (December 1993) took place in Hue city, in the central province of Thua Thien-Hue on September 7. After the war, the complex was seriously ravaged with 400 out of 1,400 works in dilapidated conditions. On February 12, 1996, the Prime Minister issued Decision No.105/TTg that approved a project to preserve and uphold the values of the complex for the 2010-2020 period. 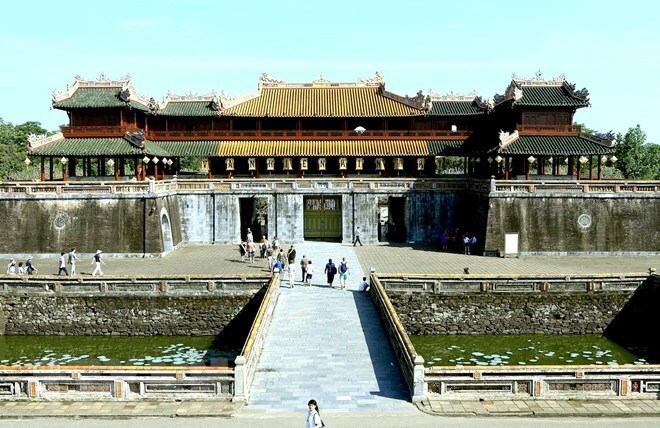 Director of the Hue Monuments Conservation Centre Phan Thanh Hai said Hue has been hailed by UNESCO as the leading Vietnamese locality in terms of heritage preservation, which turned it into a model centre for technological heritage transfer in the Asia-Pacific. Over the past few years, around 170 works of different sizes were restored – most notably Ngo Mon, Thai Hoa Palace, Hien Lam Cac, Duyet Thi Duong; as well as the royal tombs of Kings Gia Long, Dong Khanh, Thieu Tri, and Tu Duc, among others. Hai said the restoration not only revived the cultural heritages but also made important contributions to urban landscaping, turning Hue into a must-see destination in the Central Heritage Road Tour. The ceremony also marked the 15th anniversary of Hue royal court music being recognised as a Masterpiece of Oral and Intangible Heritage of Humanity by UNESCO. Over the past year, tourist arrivals to the ancient capital of Hue have grown by 15-18 percent year-on-year. This year, the centre is expected to welcome over 3 million visitors. Provincial Association of Arts and Literature to host music night "Homeland - my love country"
"Binh Duong on the way of development"
Parade of loudspeaker cars "Turning towards Dien Bien"